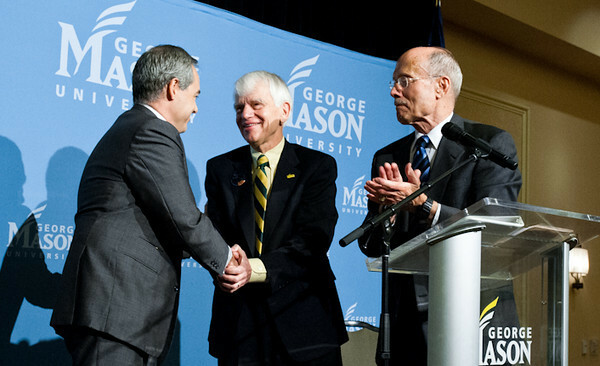 111215509s - Mason President Alan Merten, center, shakes hands with Dr. Ángel Cabrera during a press conference following the announcement that Dr. Cabrera will succeed Dr. Merten as president. Dr. Ernst Volgenau, rector of the Board of Visitors, applauds. Photo by Alexis Glenn/Creative Services/George Mason University.